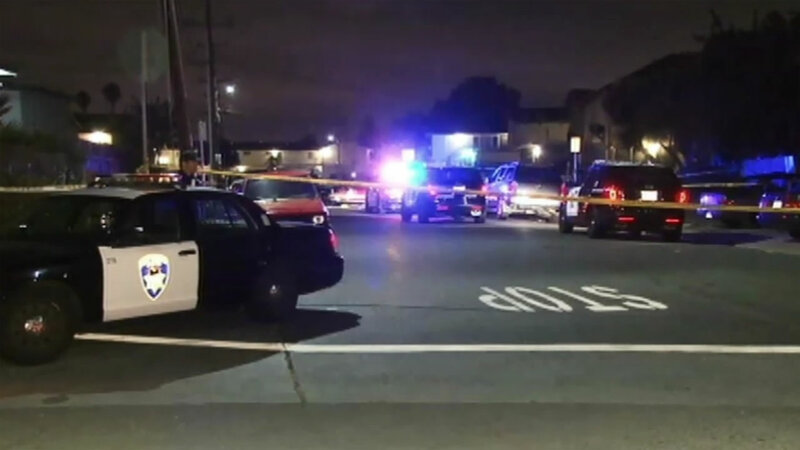 HAYWARD, Calif. -- A man died at the scene of an early morning shooting in Hayward Saturday, according to police. Officers responded to the 27000 block of Belvedere Court at 2:08 a.m. on report of a possible gunshot victim. They found a man lying on the ground, suffering from an apparent gunshot wound, and summoned medical aid. The victim was pronounced dead at the crime scene, according to police. The Alameda County coroner's bureau was called to the scene around 6 a.m., according to bureau officials. Investigators are reportedly canvassing the area for possible witnesses, but police said this morning that they did not yet have a description of the suspect. The victim's name is being withheld pending notification of his family.